Delicious food, splendid beaches, lively fiestas, and vibrant nightlife make Spain one of the best getaways in Europe. Since it encompasses several islands and autonomous regions, it also has one of the most diverse landscapes and cultures in Europe. Here are our top 9 cities to visit when you go. 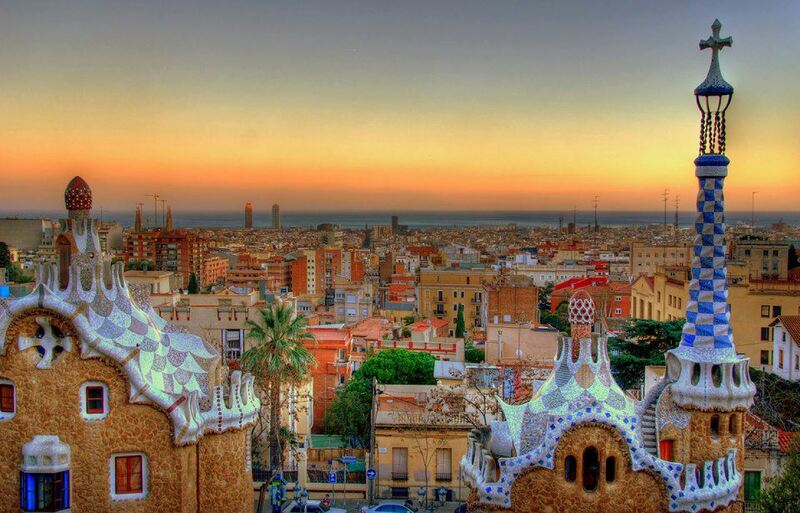 The northeastern Spanish city of Barcelona is one of the top travel destinations in the country for many reasons. It has everything tourists look for in European cities, with lively shopping, plenty of culture and nightlife, and historic architecture. Sports fans will want to check out FC Barcelona (you can get tickets for Barcelona FC even it is sold out by going here) as it’s one of the most famous soccer clubs in Spain (next to Real Madrid). Also worth looking at are the architectural marvels that are the Sagrada Familia church and Casa Batllo, built by famous Spanish architect Antoni Gaudi. It’s famous for the sizzling nightlife, but Madrid is also home to many different universities and a huge variety of ethnic groups, and the famous Real Madrid soccer club as previously mentioned. Overall, it’s one of the most colorful and cosmopolitan cities in Europe. Until the mid-1990s, Bilbao was known as an important seaport as well as an industrial boom town in the north of Spain. Then, the construction of an architectural marvel — the Guggenheim Museum — turned it into a major tourist focus that’s revitalized many of Bilbao’s hidden gems. The capital city of Spain’s Galicia region, Santiago de Compostela was the traditional end point of the traditional pilgrimage along the Camino de Santiago. Today it’s a popular place to experience both the history and the religious tradition. Toledo was the capital of Spain until somewhere in the 16th century. It’s located on a mountaintop in the center of the country, and it’s sometimes known as the “City of Three Cultures” because it was home to Muslims, Christians, and Jews for centuries. Nowadays, it has a tremendous amount of historic architecture (dating back to the Roman Empire) and art available for the visitor. The capital of Cordoba province in souther Spanin’s Andalusian region, Cordoba has a historic quarter that’s a maze of winding, tiny medieval streets, whitewashed courtyards, plazas, and more all oriented towards the star attraction — the famous Mezquita. The Mezquita was first built as a mosque, but now it’s a cathedral that retains most of the original architecture. For a visit to Basque country, San Sebastian offers a tremendous culinary tradition and superb beaches. It’s the capital of Gipuzko province, just off the Bay of Biscay. One of Spain’s most important cities and also one of its largest, the main tourist draws here are the City of Arts and Sciences — an architectural masterpiece — and the Fallas Festival. You may have heard of the “Barber of Seville,” but the lively festivals, nightlife, and exceptional tourist attractions are a bigger draw nowadays. As Andalusia’s capital city, Seville is also the cultural and financial capital of the region. It’s home to a number of major landmarks, including the Cathedral of Seville, where historians believe Christopher Columbus was buried.